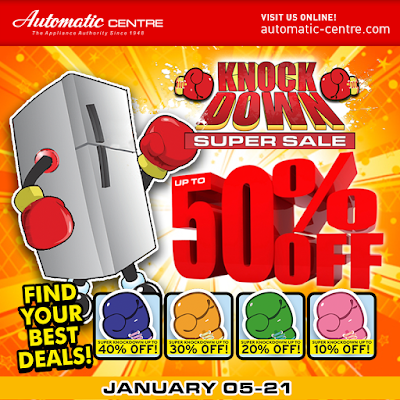 Check out Automatic Centre's Knock Down Super SALE happening until January 21, 2018. 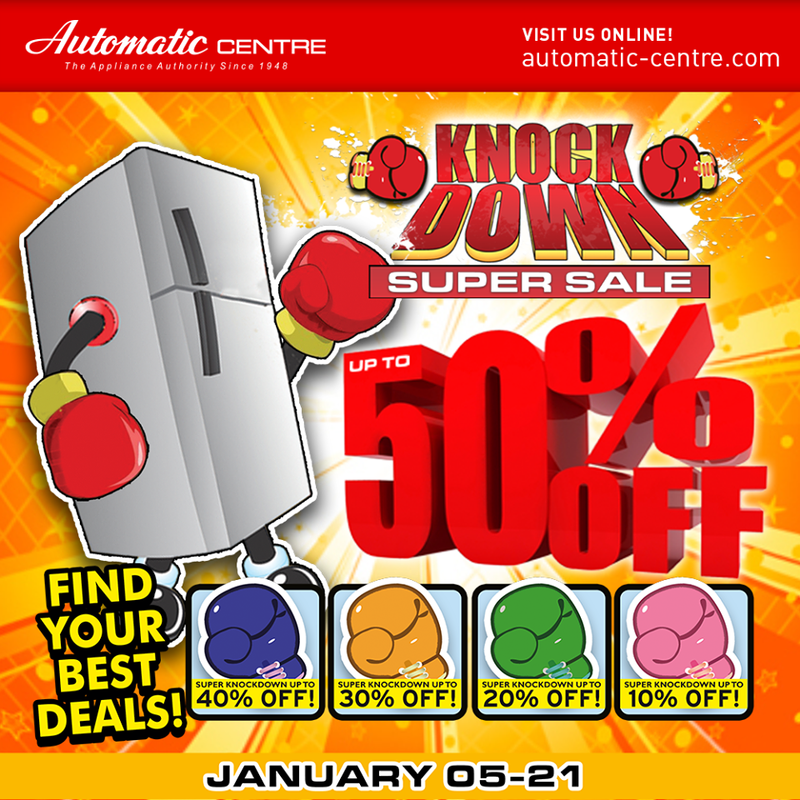 Get your favorite appliances and gadgets at knockout prices UP TO 50% OFF*! Just visit an Automatic Centre near you, and check on items with specially-marked gloves to avail of the exclusive offer! * Discounted Prices available for cash and straight charge purchases only, unless otherwise specified. ** Not valid in conjunction with existing promotions and discounts from Automatic Centre and its partners.